Ahhh Austin. Austin has always been known and thought of as a “cool”, “hip” city, but the pace at which this Texas town is surpassing even the most ultimate Silver Lake levels of hip is just incredible. I heard from several locals on my recent trip that there are 120-150 people moving to Austin DAILY, many of whom are filing in from our fine state of California. And frankly from recent experience, it kinda makes sense! 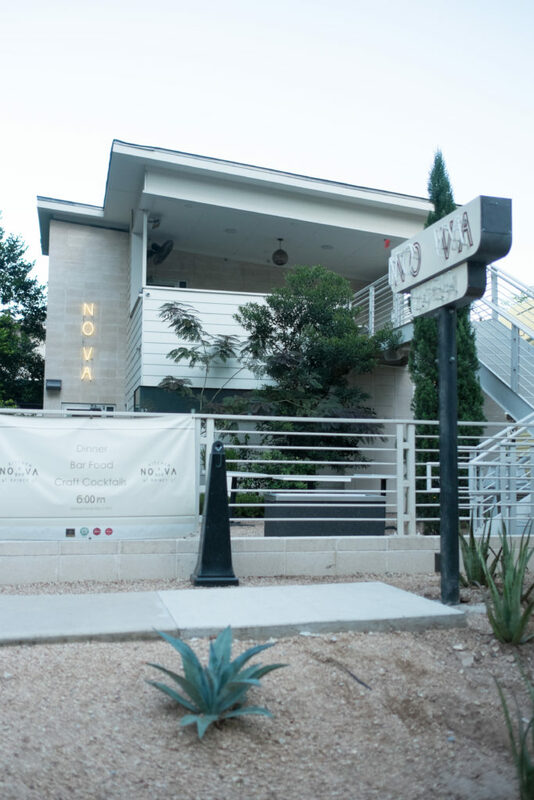 Austin is in some ways the cool, less expensive, up and coming version of Los Angeles. Except a little more friendly and slightly warmer with a lot more country music stations. 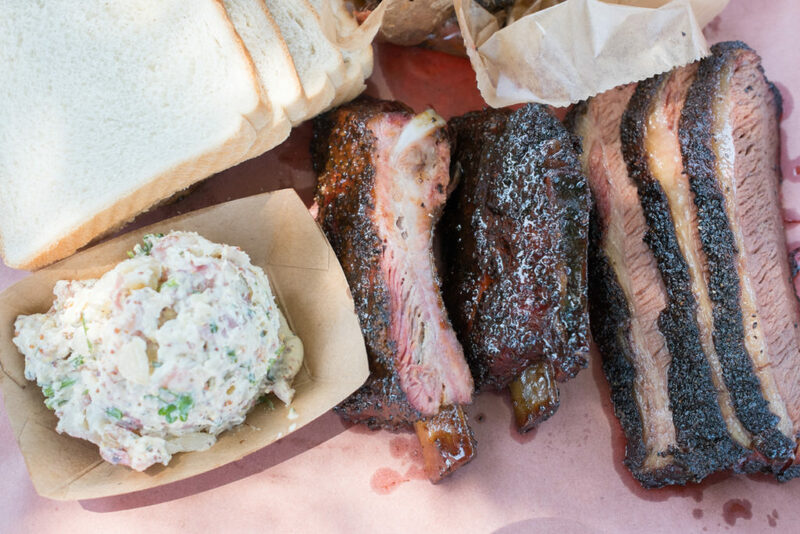 You could go with infamous classics like Franklin, Salt Lick, or Rudy’s, or you can go with the less globally “obsessed” over options like La Barbecue, Lamberts, or even Stubb’s. No matter where you go though, everyone has differing opinions over which is best so go with your gut! 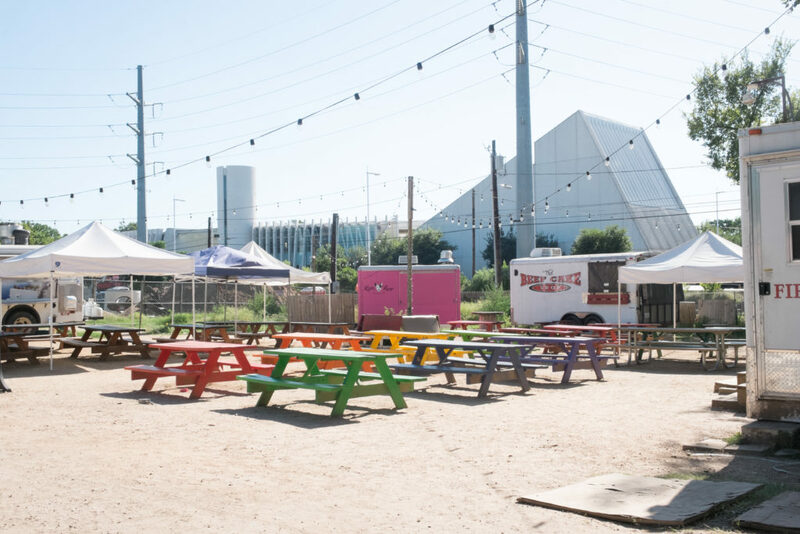 My gut told me to go to La Barbecue, an outdoor trailer with some picnic tables, and I’m pleased to report my intuition did not fail me. 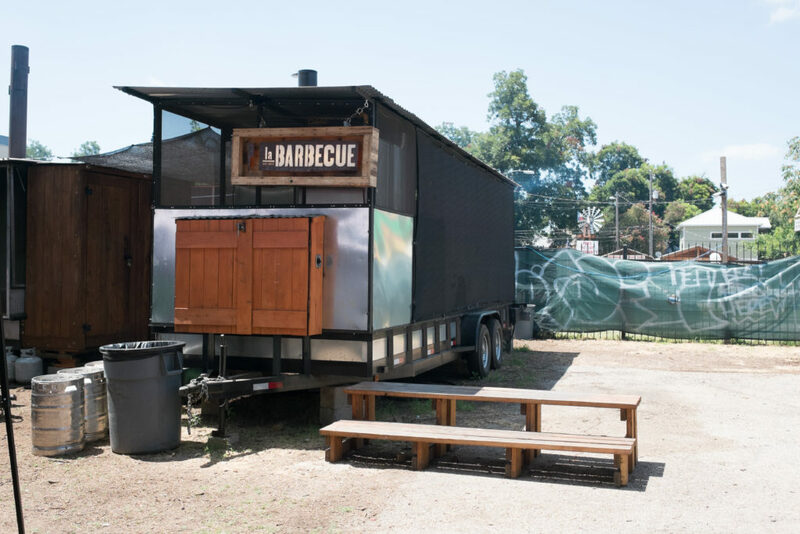 If you make it out to the La Barbecue truck I’d suggest showing up on the later side – some time after 1pm when the line dies down. 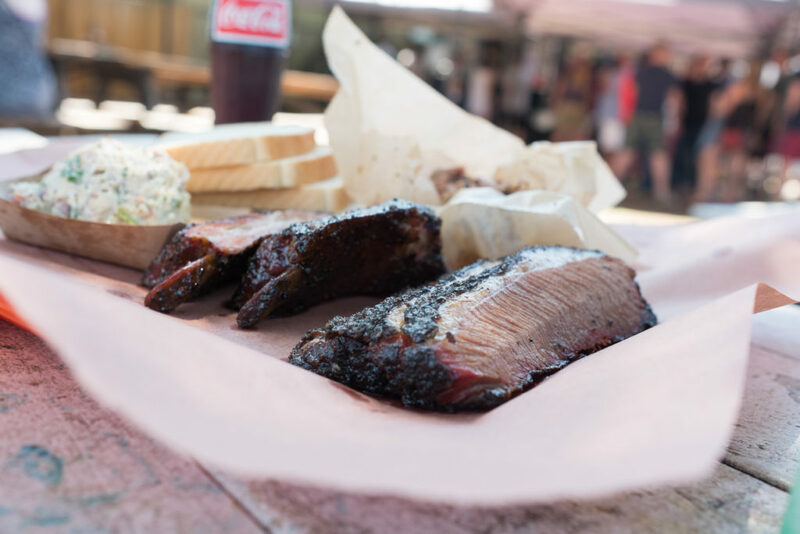 And whatever you do… order the brisket. I’m not actually sure if I was eating brisket or butter but evidently it’s definitely one of the best things I’ve ever had. If you’re looking for the perfect shot, look no further than the cute and classic “Greetings from Austin” postcard mural on South 1st street. 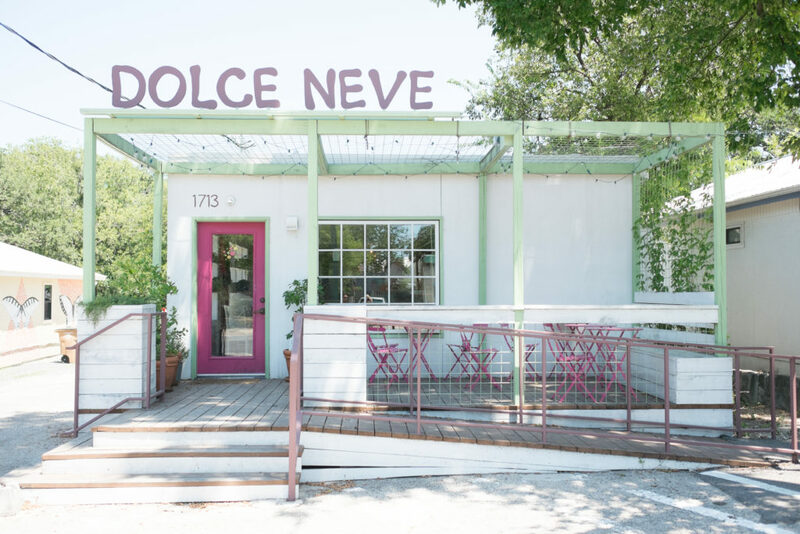 Once you’re done snapping photos, head across the street to Dolce Neve for a delicious frozen treat! It’s hands down my favorite mom and pop ice cream/gelato shop in the city. 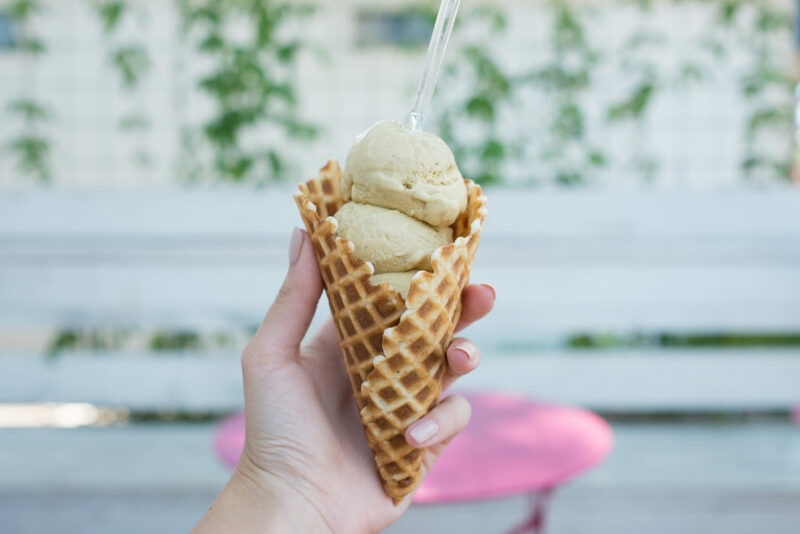 Make sure you get a cone if you’re getting gelato, and even if it seems aggressive be sure to try one of their homemade gelato sandwiches! This is the place to indulge and live a little. 6th Street was so 1999. 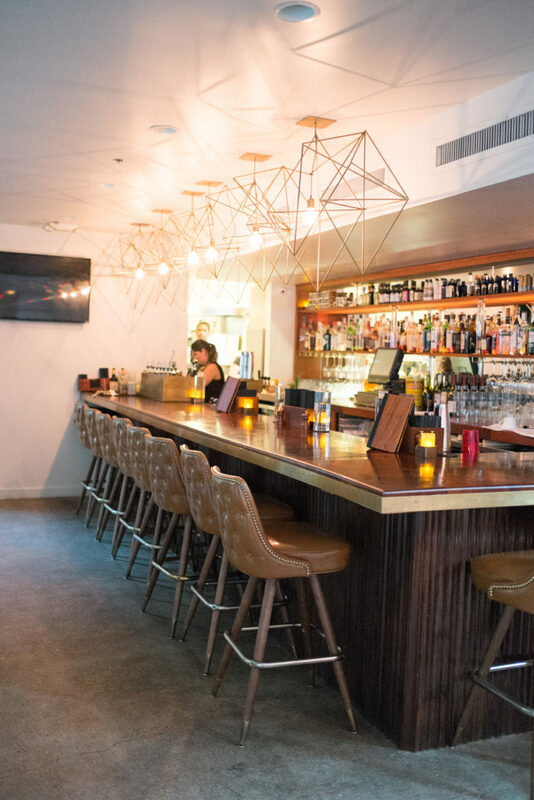 These days the cool place to hop from bar to bar is a little part of town they call ‘Rainey Street‘ – for obvious reasons. Comprised of several craftsman style homes turned bar/lounge/restaurants, Rainey Street is one of the most unique and beloved places the city has to offer. 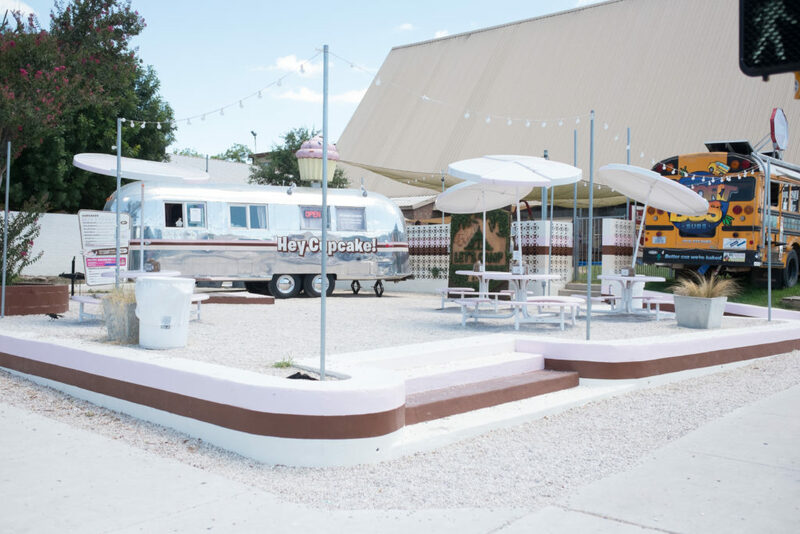 Whether it’s something divey, something bougie, or something in-between, there’s a little bit for everyone on Rainey – including plenty of food trailers to boot! NoVa was great for a bite to eat and a glass of wine, Banger’s (which seems to be a favorite) is perfect for a beer and a brat, and Lucille’s or Icenhauer’s are great for just cocktails. 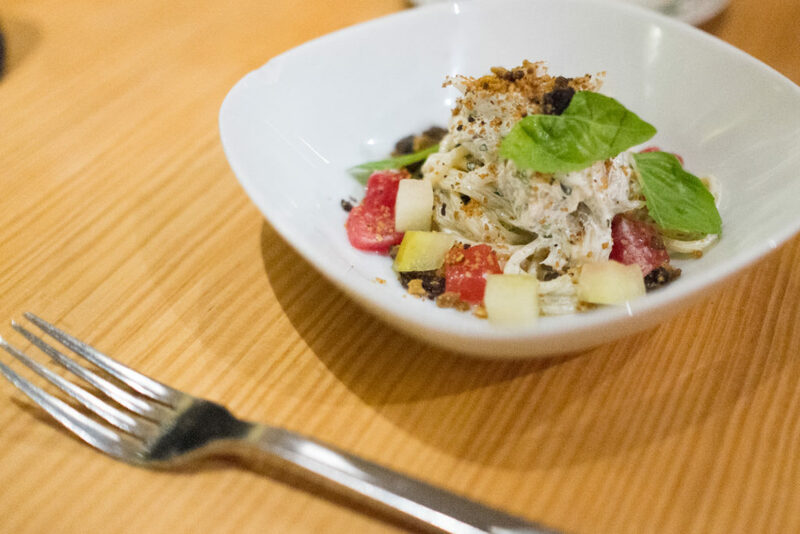 It does not get more literally “farm to table” than with what you’ll experience at Odd Duck. I hate to say it but watch out LA, Odd Duck does not mess around when it comes to where they source all of their ingredients! 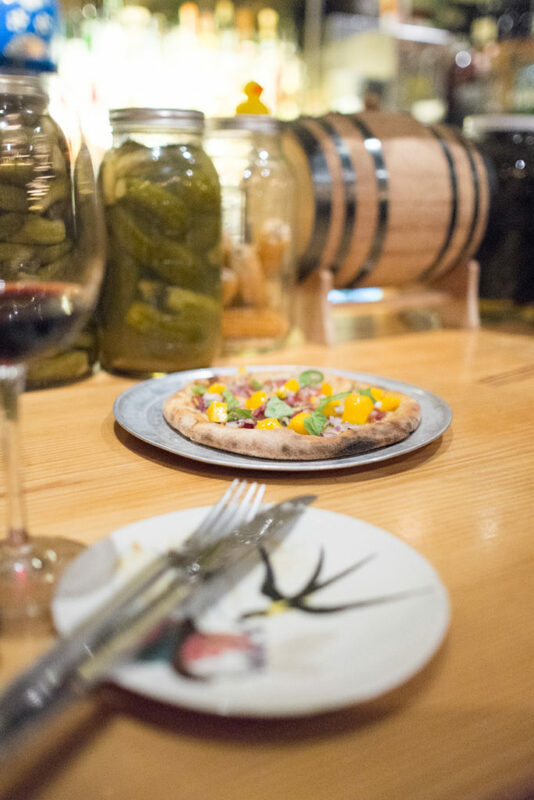 With a menu that almost completely changes weekly and products sourced within just miles of the restaurant, Odd Duck offers one of the most incredible dining experiences, in and out of the Austin city limits (no festival pun intended). 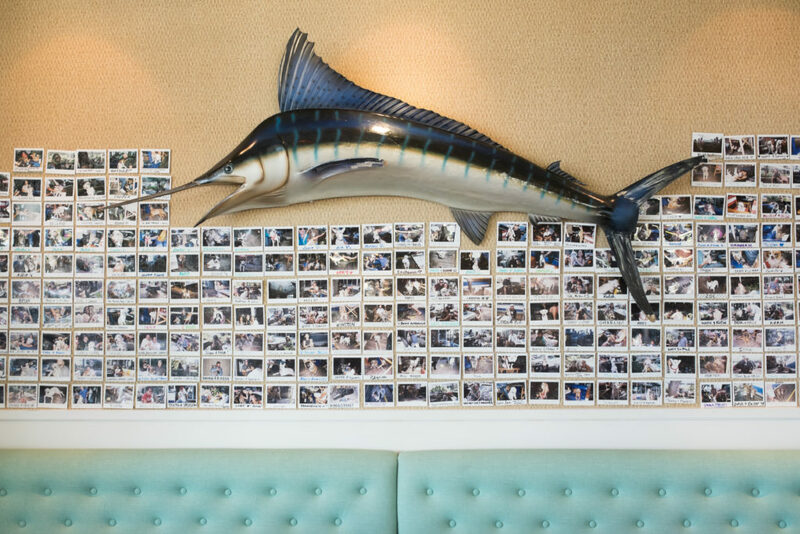 It’s the one restaurant in Austin I had to wait to be seated, and an hour and half I did wait for what turned out to be a simply wonderful and memorable meal. If you’re thinking you want to give it a go, I’d suggest planning ahead and making a reservation. 5. 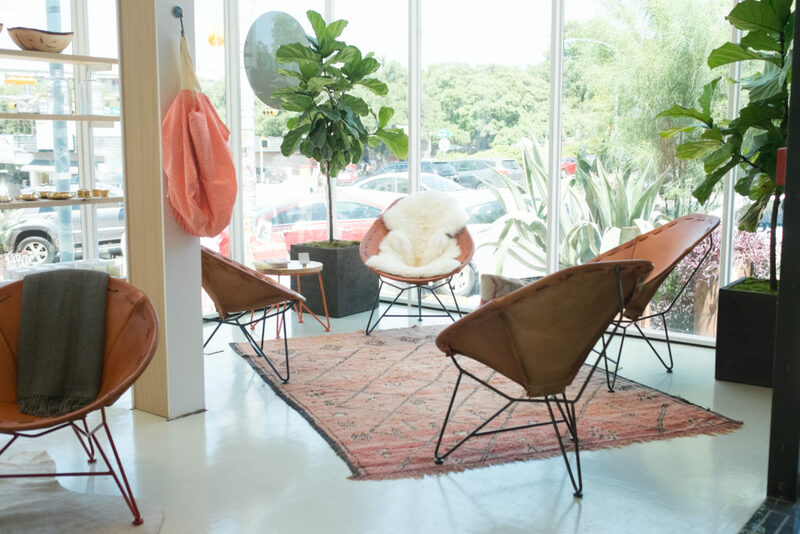 Eat, Shop, + Walk Along South Congress St. 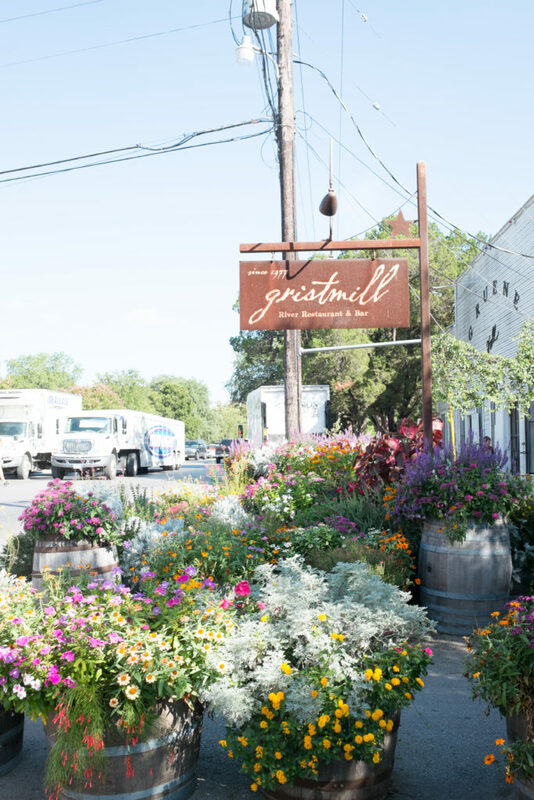 The South Congress area is known for great boutique shopping and dining, and it might be my favorite part of the city to do both. 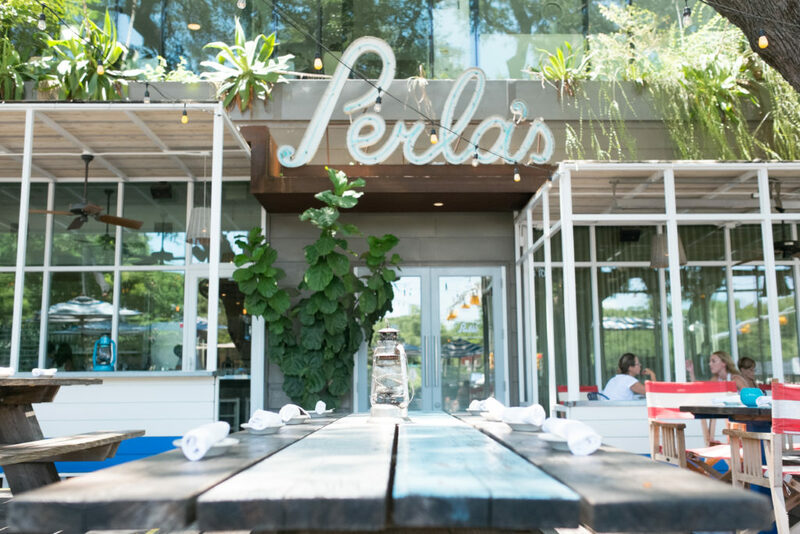 If you’re heading there in the afternoon head to Perla’s for a light seafood lunch (or just for cocktails) and enjoy what I consider to be the best patio in Austin. 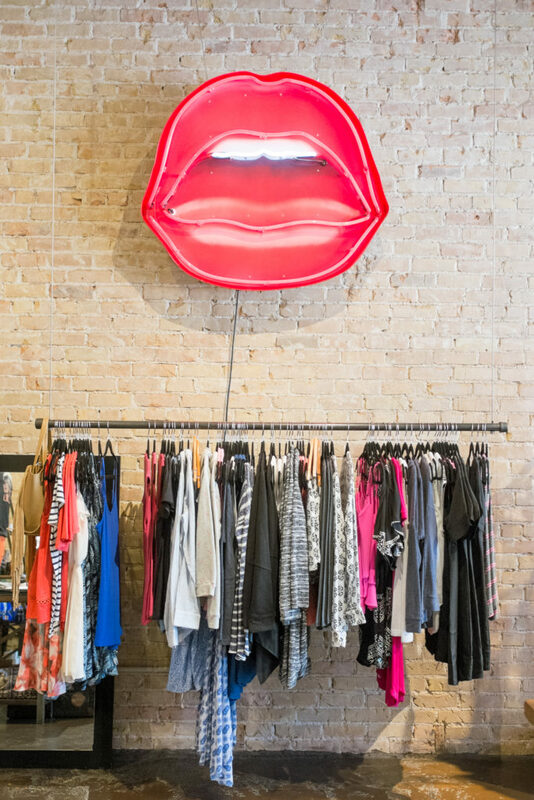 When you’re walking around be sure to pop in boutiques like Blackmail, By George, and Archive Vintage for some awesome finds. 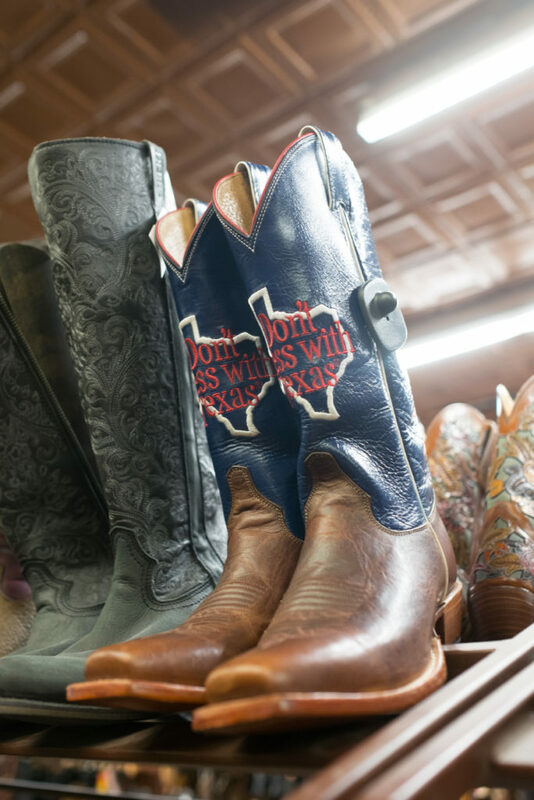 If you’re over shopping and eating SoCo is also home to several coffee shops, music venues, galleries, and trailer food trucks – so much to be entertained with it’s crazy. Located at the start of 6th Street German bakery and beer garden Easy Tiger is without a doubt one of my favorite places I hung out at in all of Austin. Upstairs you can just simply grab a delicious fresh baked German what-have-you, or you can venture downstairs to the bar/beer garden for more activity. Outside you’ll find picnic tables, plenty of places to stand, a view of a “river” (which may be a brook? ), and a number of ping pong tables for your enjoyment. The vibe screams hipster but not in a pretentious “you can’t sit with us” kind of way. Hipster like, “yeah we all have beards but we smile”. 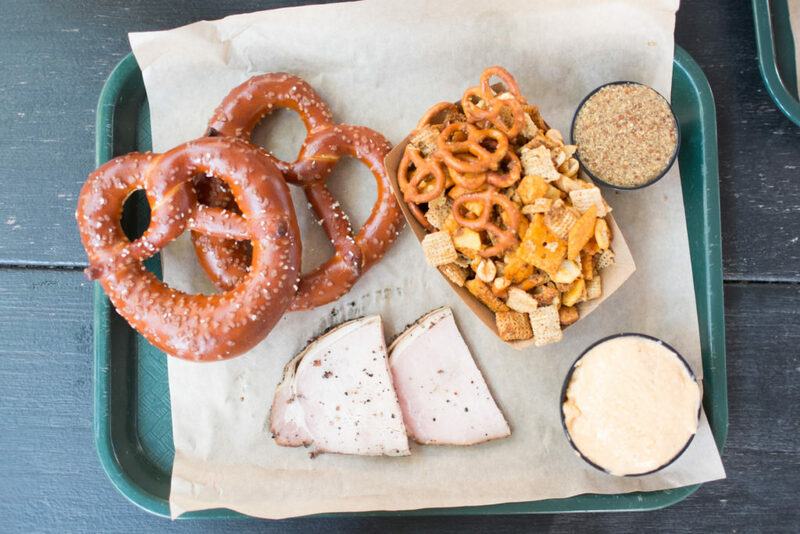 It’s a casual cool place to enjoy cold craft beer, beer cheese, and pretzels bigger than your head. I think that’s what we call good ol’ fashioned fun. You don’t have to search long and hard for live music in Austin, that’s for damn sure, but what about live music at a speakeasy inside a hostel doesn’t sound particularly awesome? I thought so too, and turns out it was. 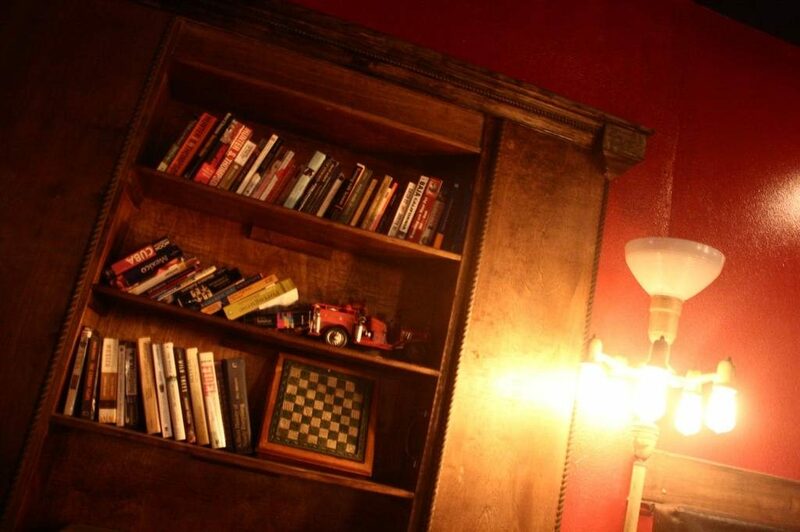 The Firehouse Lounge, located across the street from the historic Driskill Hotel where in fact I stayed, is just behind the bookcase in the lobby of the Firehouse Hostel. 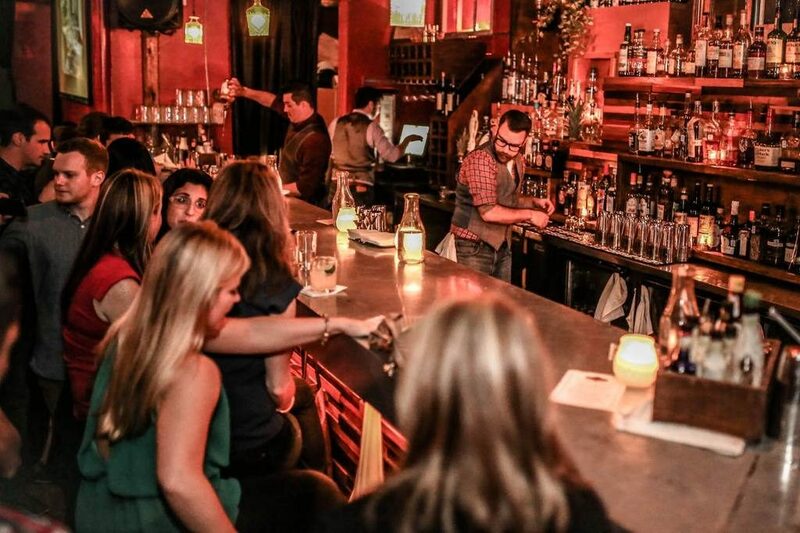 Craft cocktails and Speakeasy’s go hand in hand, as we are all familiar with in LA, but the staff at the Firehouse are particularly well versed in spectacular prohibition-era type beverages. The 2nd Street District is another popular up and coming part of the city and is known for its great shopping, bars, coffee shops, and restaurants. 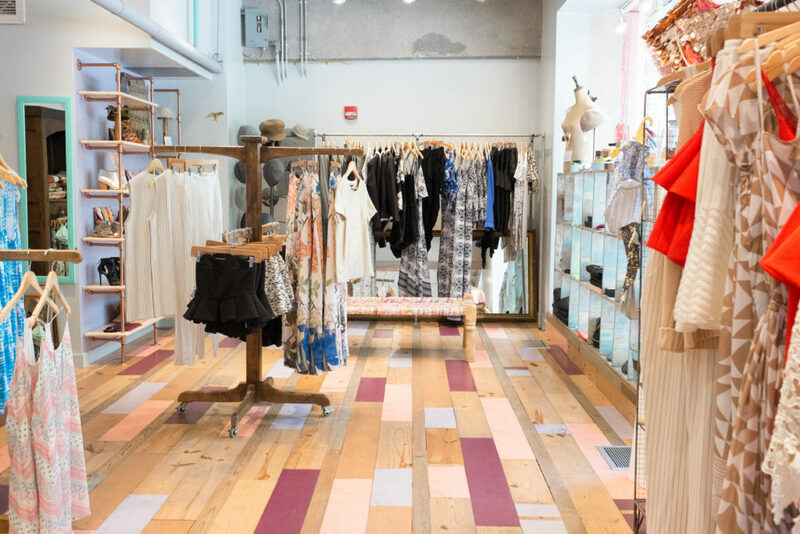 Ladies, stopping at boutiques Etcetera, Etc., and Hemline are absolute musts but there’s plenty more spots to stop along your walk. 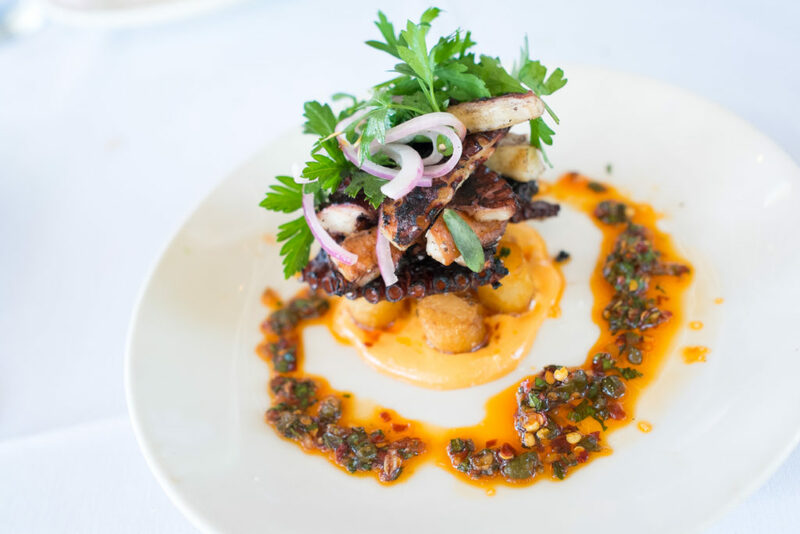 When you get hungry, you have quite a few options to choose from but La Condesa (contemporary Mexican) and Second Kitchen + Bar (new American farm-to-table) are definitely two of my favorite options in the area worth considering! 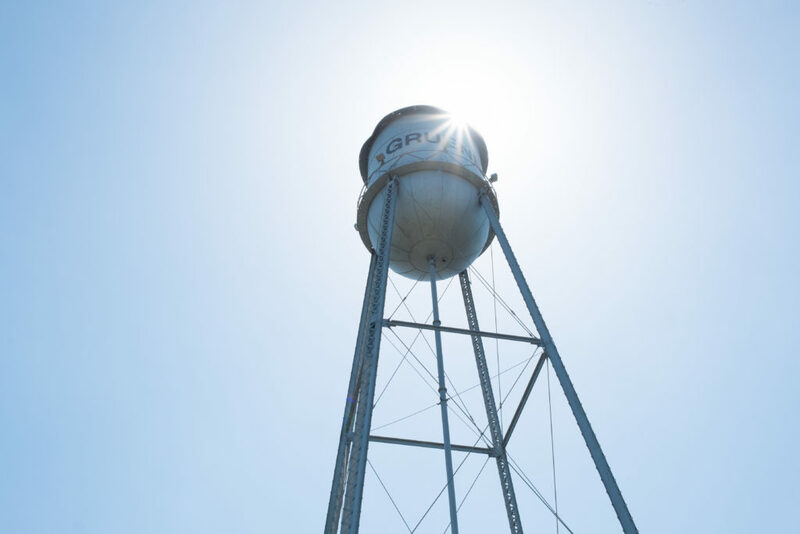 Located just 45 minutes outside of Austin, Gruene is one of the most historical hill country towns Texas has to offer. 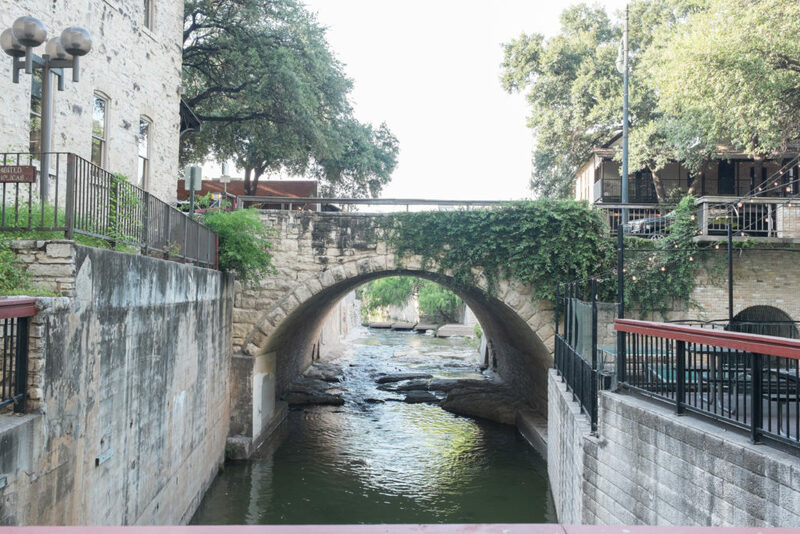 Gruene was built in 1840 by German settlers and the community since then has done an incredible job maintaining the original integrity of the structures and landmarks – namely the infamous Gruene Hall which still offers live music and dancing almost nightly. 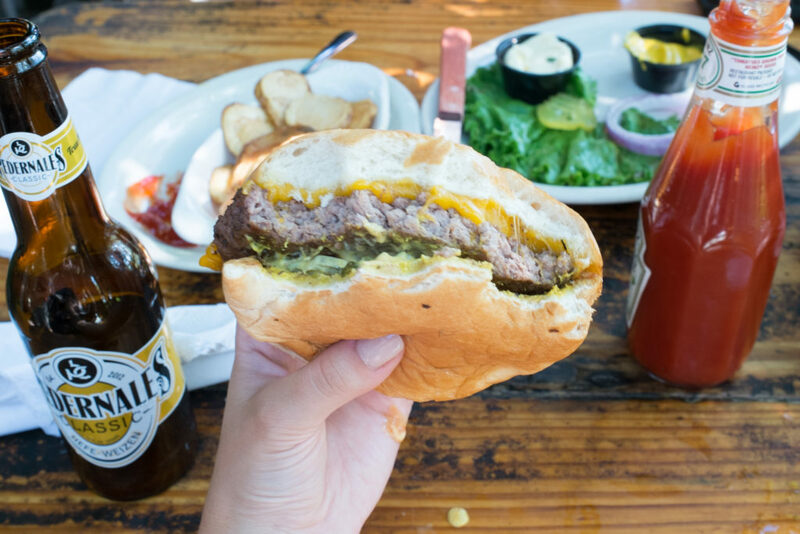 Grabbing lunch at The Gristmill (Gruene’s star restaurant) and packing a swimsuit to tube down the Comal River is the most fun and exceptional way to spend a warm afternoon in Texas. 10. 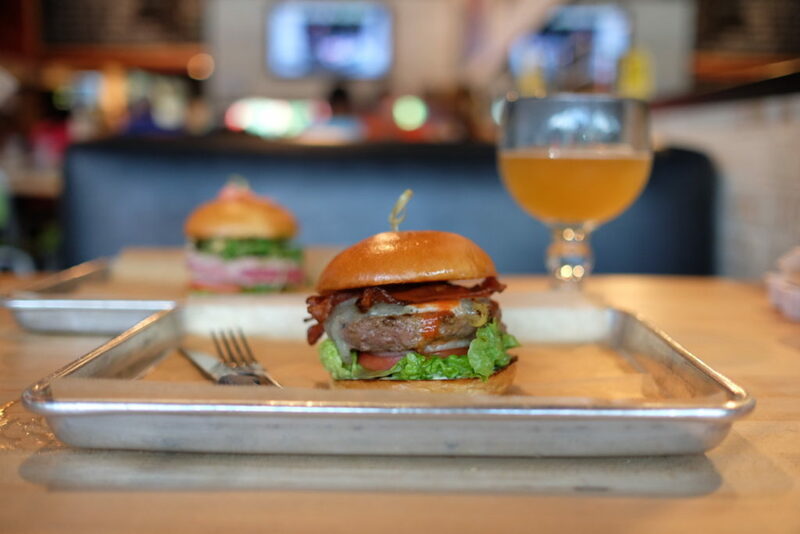 Have A Hopdoddy Burger. It’s Worth the Wait. Besides BBQ the general consensus from locals and those that have visited Austin is that a burger from Hopdoddy is crucial. 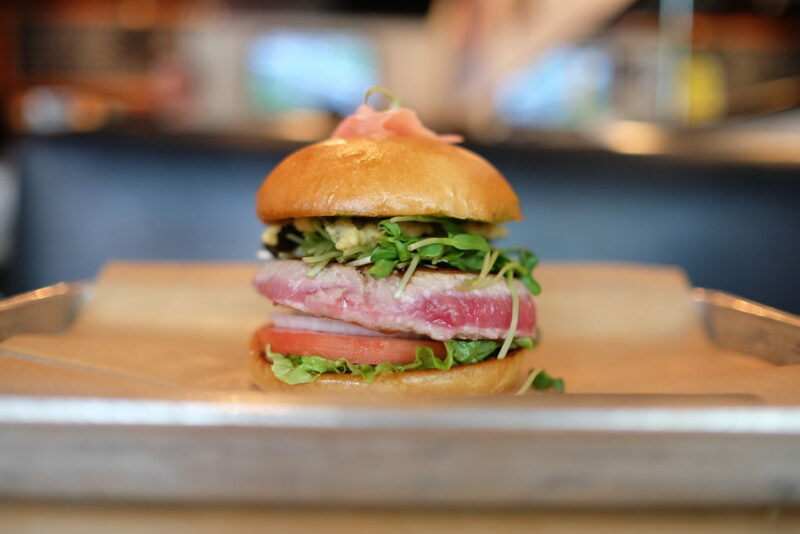 Despite the fact that there is rarely not a line around the corner, Hopdoddy is Austin’s pride and joy and people will wait to get a piece of the pie. Fortunately though they’re serving beer and milkshake samples to accompany you along your journey, so at least there’s that. 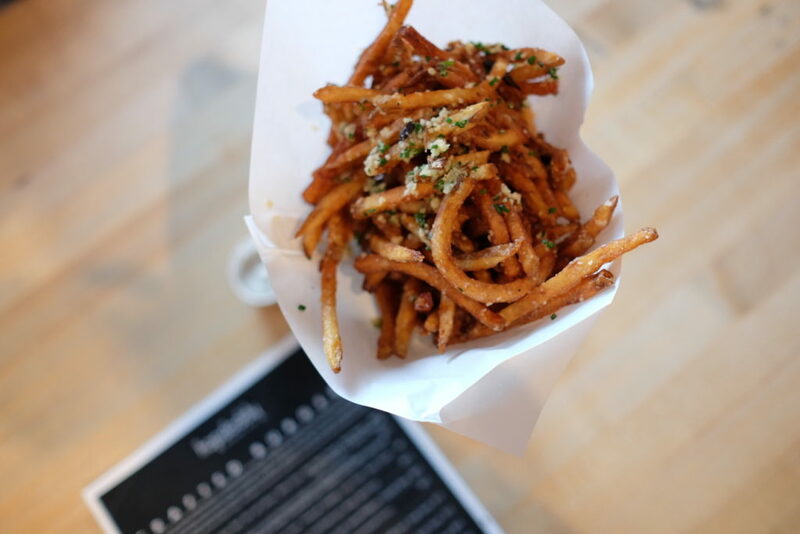 Hopdoddy has 13 completely original burgers with a variety of toppings and meat to choose from, plenty of beer and cocktail options, and all the good stuff that pairs well with burgers such as fries and milkshakes galore. These are some of the freshest most creative burgers I’ve had the pleasure of devouring, and when you’re at Hopdoddy just remember calories don’t count. Go crazy. But wait there’s more. 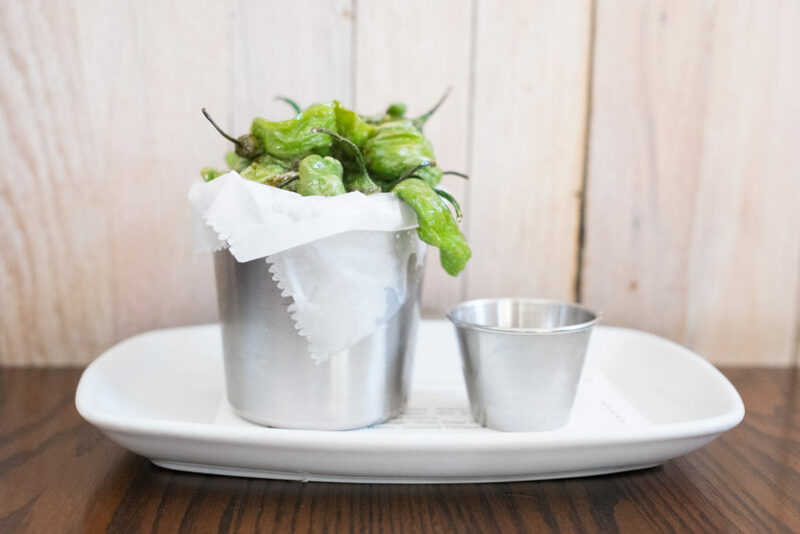 Los Angeles is getting two of our very own Hopdoddy’s next month!!! 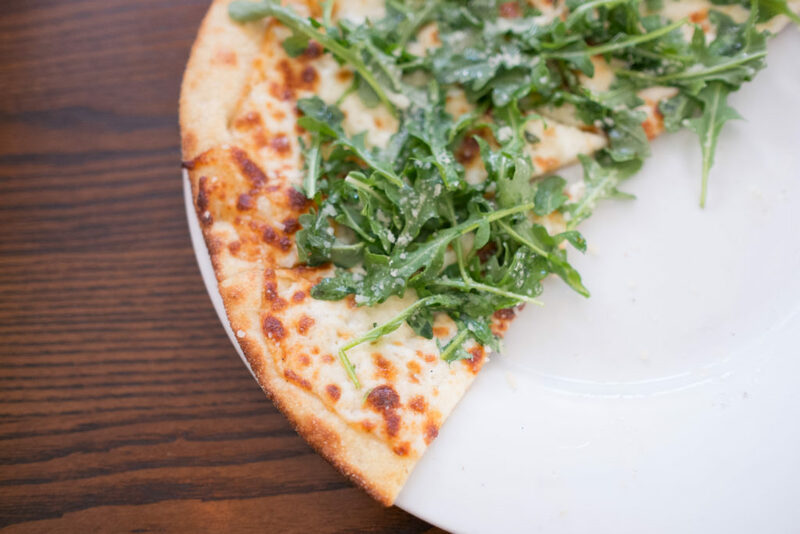 First will be at The Runway in Playa Vista, then The Point in El Segundo will follow (with another opening at Fashion Island in Newport Beach after that). Stay tuned for more and official opening dates! 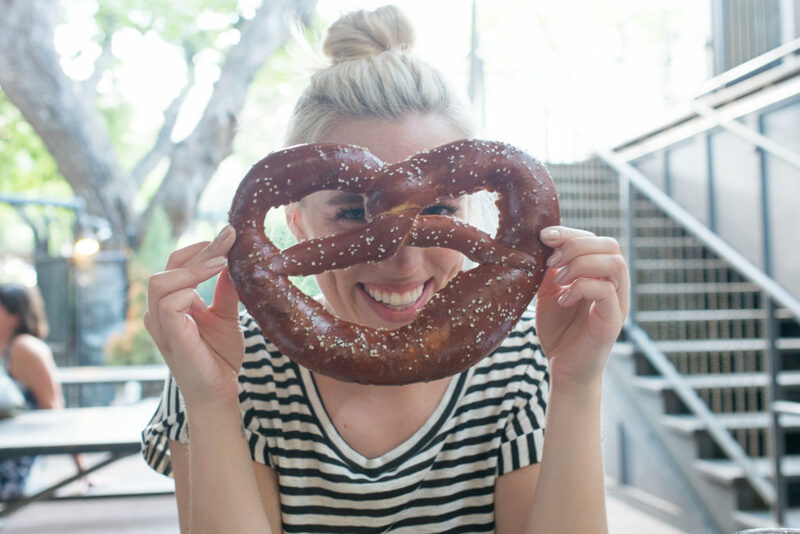 I’d also love to note that most if not all restaurant recommendations were given to me by my Austin foodie friend and fellow blogger Jane from A Taste of KoKo – if you live in Austin or want to be in the know of the city’s food + beverage scene, check out her incredible blog! Girl’s got excellent taste. Omg! Thanks for sharing! I definitely can’t wait to go back to Austin to try all these things now that I’m older and of legal age, lol! hahaha right?! It’s such a blast I hope you make it out there soon!! Don’t forget the coffee, vanilla lattes at Vintage Heart-I drank 2 and fried chicken on a maple donut at Gourdoughs-worth the wait and big enough to share. Grab an avacado taco next door at the taco truck while you wait. 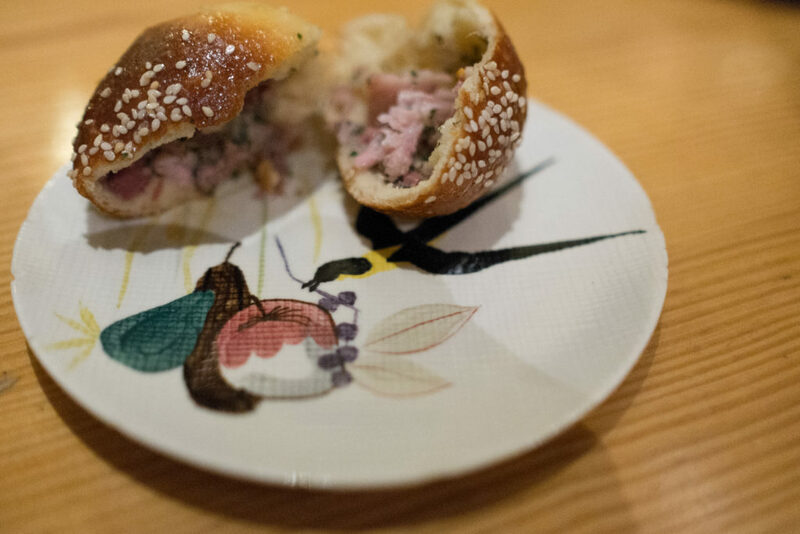 We had the best meal ever at Odd Duck-recommended by a Barista one morning. Sit near the cooks and watch them cook over the wood burning grill. Great Article!!!! Pinning that speak easy for next time.